Breathless Resorts is on Instagram! We are excited to announce that Breathless Resorts & Spas is now on Instagram! Follow us now to fight off those winter blues with a daily dose of fun in the sun. It may not be as good as the real thing, but our gorgeous resort snapshots will help tie you over until you can come home to all of us at Breathless! Opening on November 15, our first Breathless Resort & Spa, Breathless Punta Cana will offer the Unlimited-Luxury® you deserve along with an unforgettable getaway. You too can share your favorite Breathless Punta Cana vacation moments and experiences by tagging your Instagram snapshots with #BreathlessResorts. Snap pictures of the scenery, luxury accommodations, entertainment, new friends, family, or anything else that strikes your fancy while you’re at Breathless. We love to see it all! Nothing makes us smile like seeing our happy guests. So don’t just tell us—SHOW us—what makes you Breathless? Want to win a trip for you and four of your friends to the new Breathless Punta Cana? Enter our Facebook #LiveBig Photo Contest today! 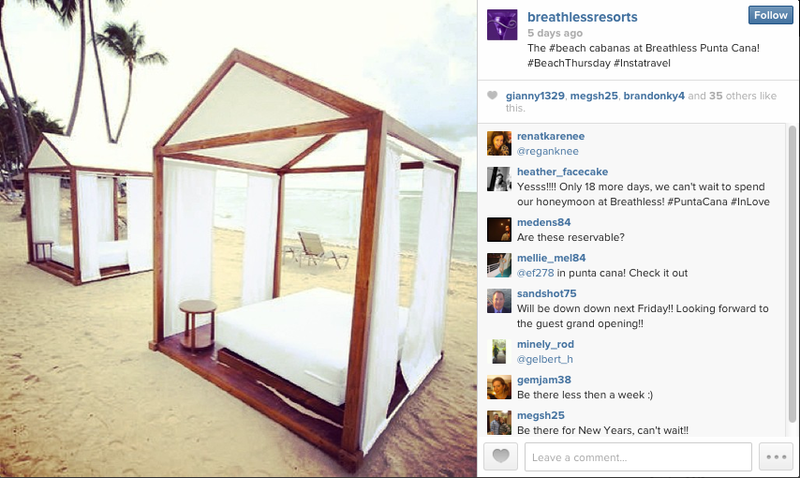 The beach cabanas at Breathless Punta Cana. 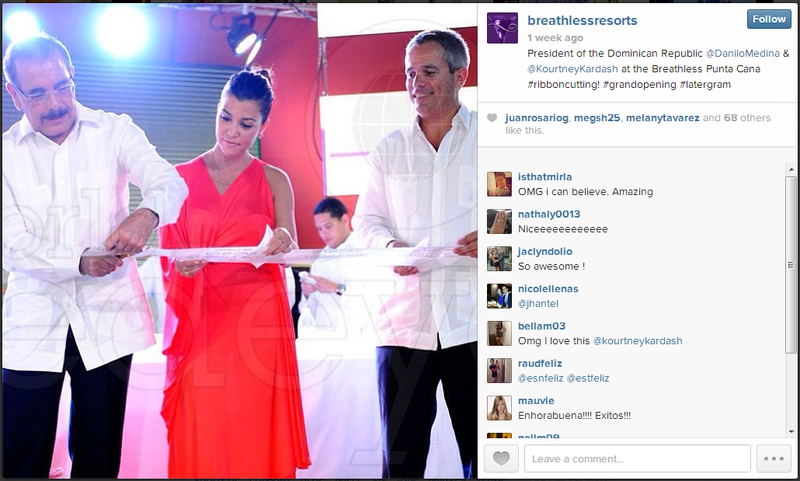 Dominican Republic President Danilo Medina and reality star Kourtney Kardashian came out for the grand opening of Breathless Punta Cana! Massages with a view at the brand new Breathless Punta Cana spa! 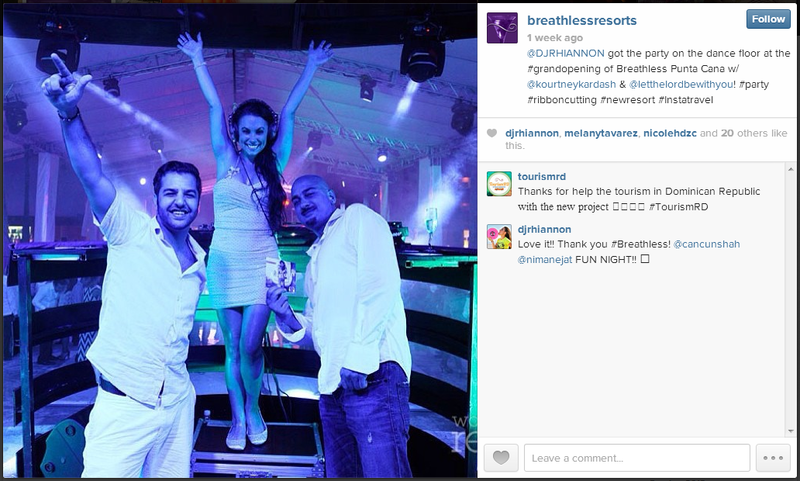 DJ Rhiannon rocked the opening of Breathless Punta Cana! 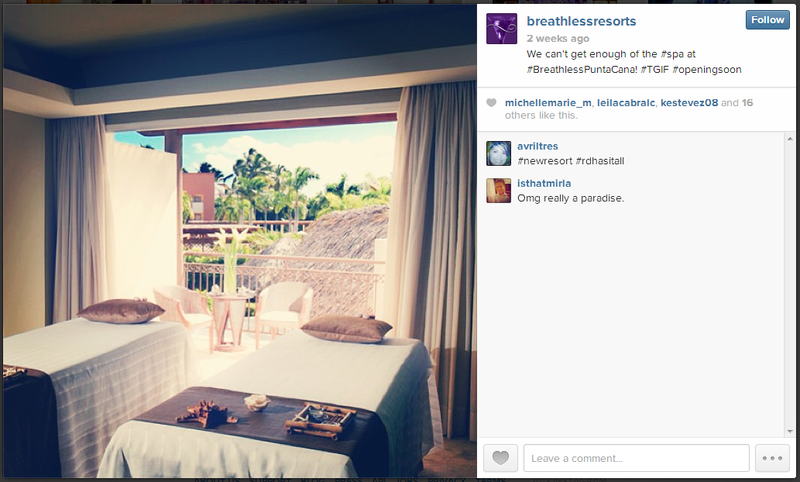 This entry was tagged Breathless Punta Cana, instagram, photos, social media. Bookmark the permalink.